A Tale of Duelling Gamers: April Retrospective. Gadzooks and other foul oaths guaranteed to offend a 16th century audience. Here we are at the end of April, and what the heck happened to my month? I'm not doing the usual thing of going "OMG! 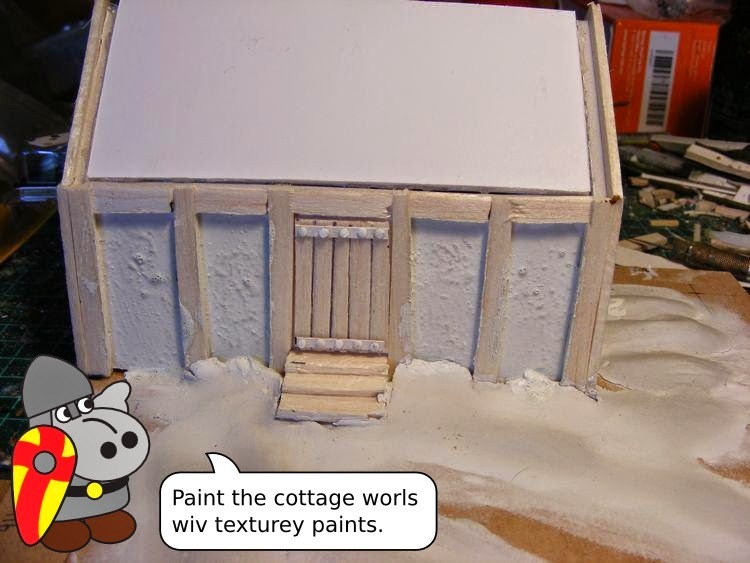 I worked SOOOOOO hard and I painted all the time and I only just got things done!" Oh no. 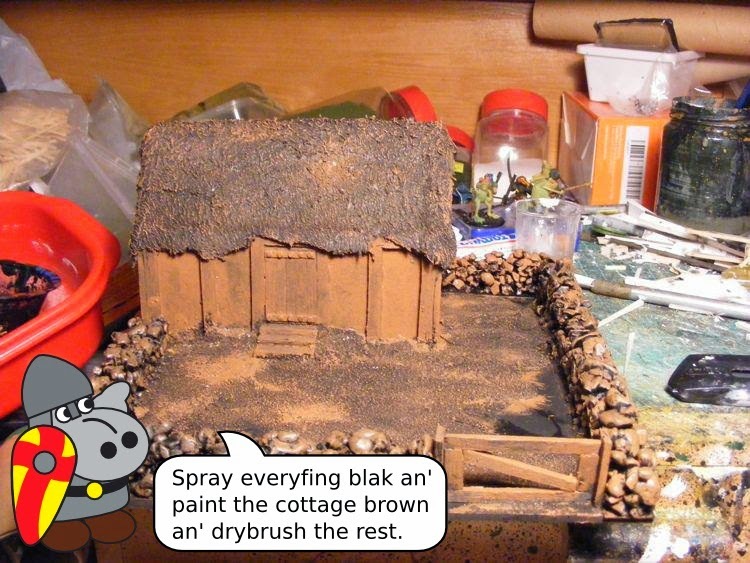 Readers with long memories and facial hair to match will recall my almost super human painting speed. I'm more annoyed that it took me THE WHOLE MONTH. Seriously, what's with that? Well, I was actually pretty busy over the school holidays with the holiday program and a few other things. 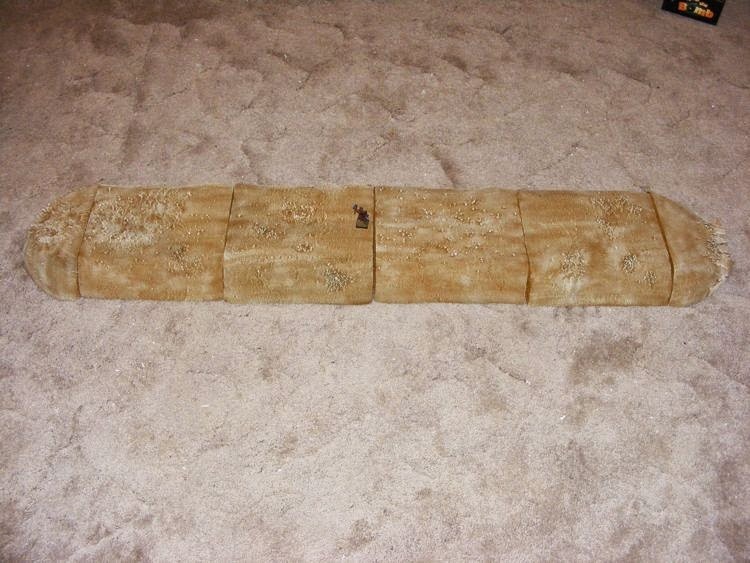 Also the bases I ordered (plain ones mark you!) only turned up on Thursday. And the shields I ordered STILL have not arrived. 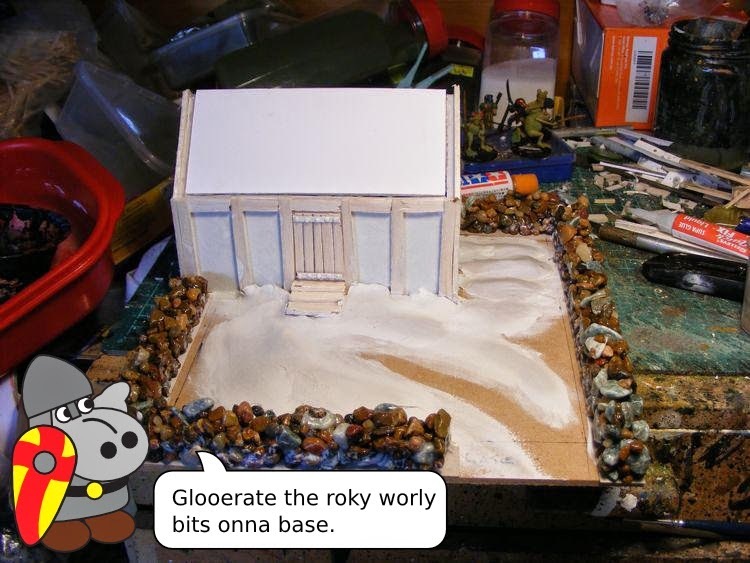 So there was a pretty big chunk of holiday time where I was not able to do anything and built terrain instead. I guess that's something. 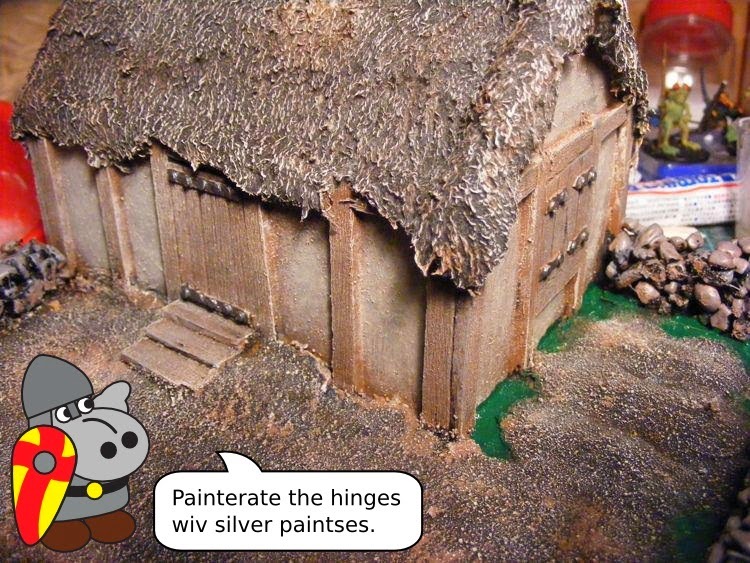 Also,it explains why the promised freehanded shields have not materialised. Here are all twenty of his chums. 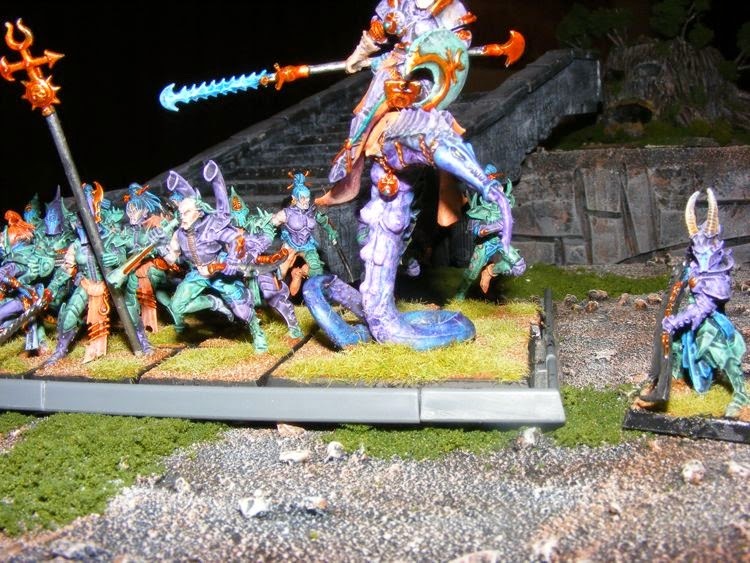 Dark Eldar models are stupidly fragile. The champion's back banner came off before I even painted, and one of the razor flail things is now two segments long. An attempt to show the lightningy blade on Lord Emo Fringe... er... I mean Lord Gavrillo Of the Whispered Endearment. The champion is understandably annoyed at my slow progress. Er.. yes. Seriously, I think this is really cool. This is a screen-shot of my spreadsheet showing things. See, this is part of the reason I wanted to start this whole shebang. To show that you can get things done cheaply. Anyway, this is my month's budget. As you can see, I blew it on 26 figures. 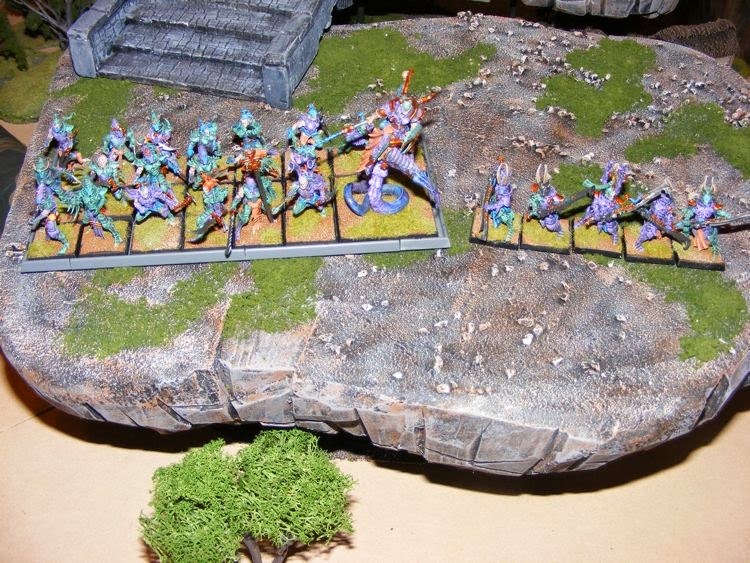 A lord on deamonic snake thing, twenty of the finest warriors, and five chosen who also look like Incubi. 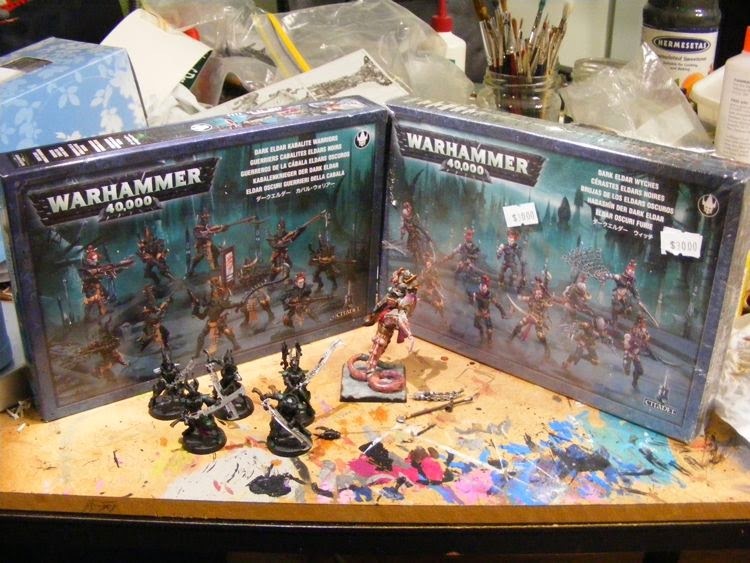 So, at GW prices, I blew $189. Except I got them from eBay and CanCon, so I actuall spent... $81.70. 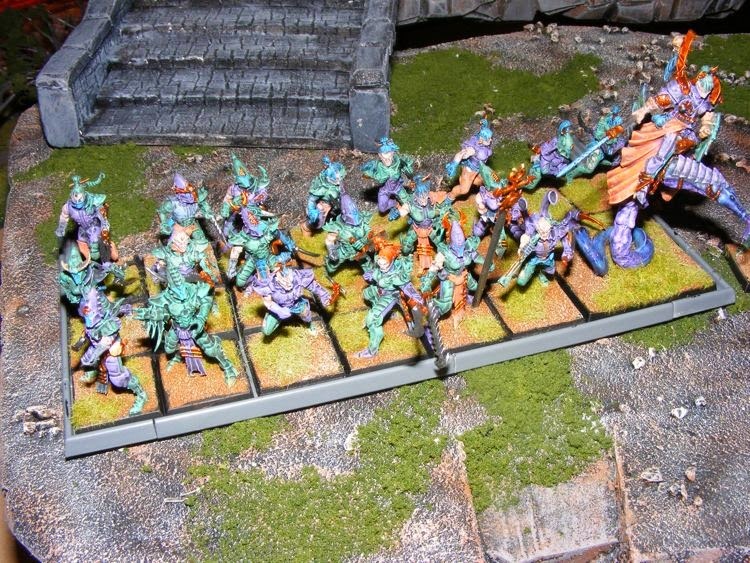 Well, that you CAN get an army cheaply if you know where to look and what to look for. 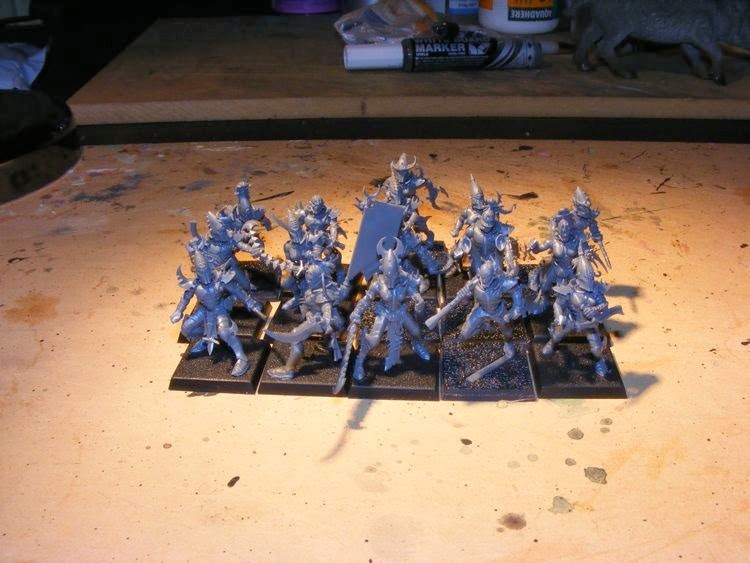 Stand by for future months when I economise even further by using ONE GW model to make TWO chaos things at once! Also, this is my first experience of Fine Cast, and I'm not impressed. Seriously, the blades on those incubchosen snap if you sneeze near them. Er... anyway, that's probably it. 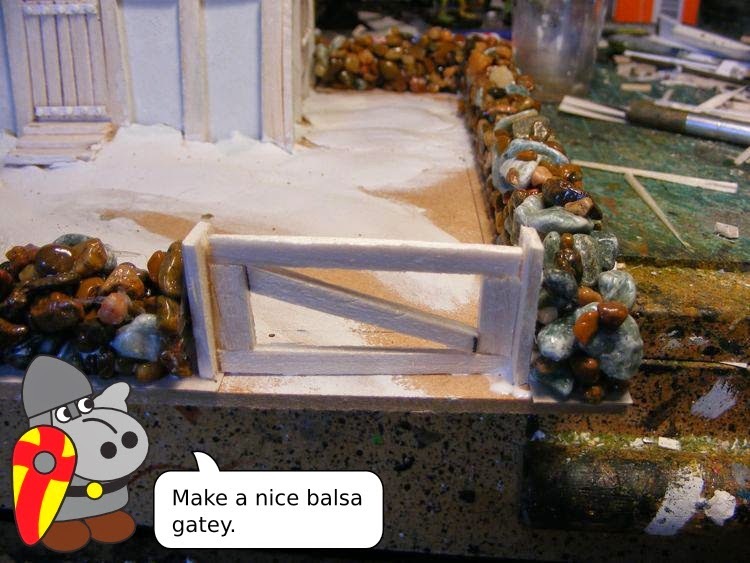 Watch out for further updates, slow painting progress, and also go to The Dweller's Bellow's Tournamnet Called Face/Off because I'll be there showing terrain and building Table 1 which they might be raffling off or something. I dunno. The Ginger Thunder only emailed me last night. At long last, here it is! 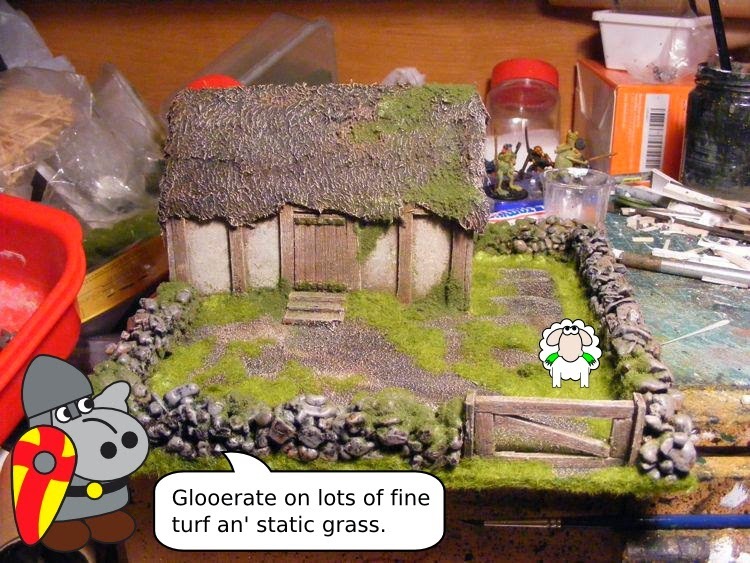 The second TFH Ishoo of 2014 - Ishoo Ninty: Farmyard! Yeah, I know, we've tackled things like this before. But I have a cool new technique to show you which I found on the Demo Gamers blog. 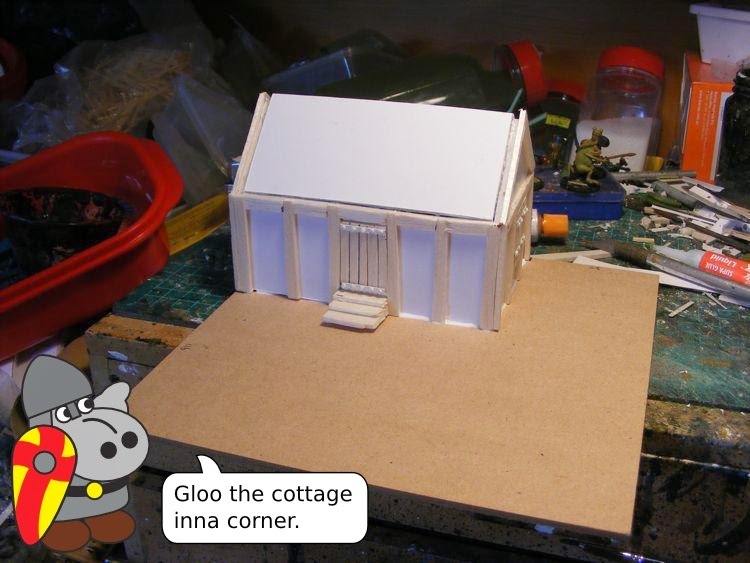 Also, this ishoo makes use of printable templates. 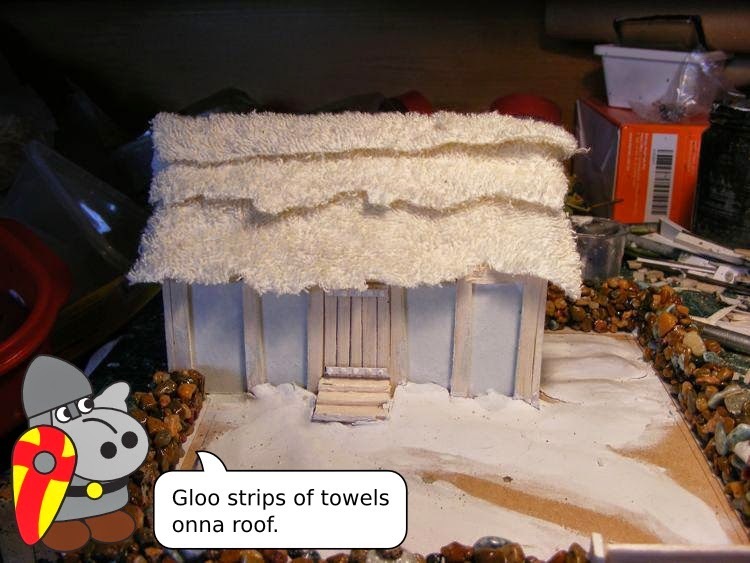 Originally, I made these for a 'How to make terrain' holiday program session, but they were not all used, so I employed one on this project to save a bit of time. 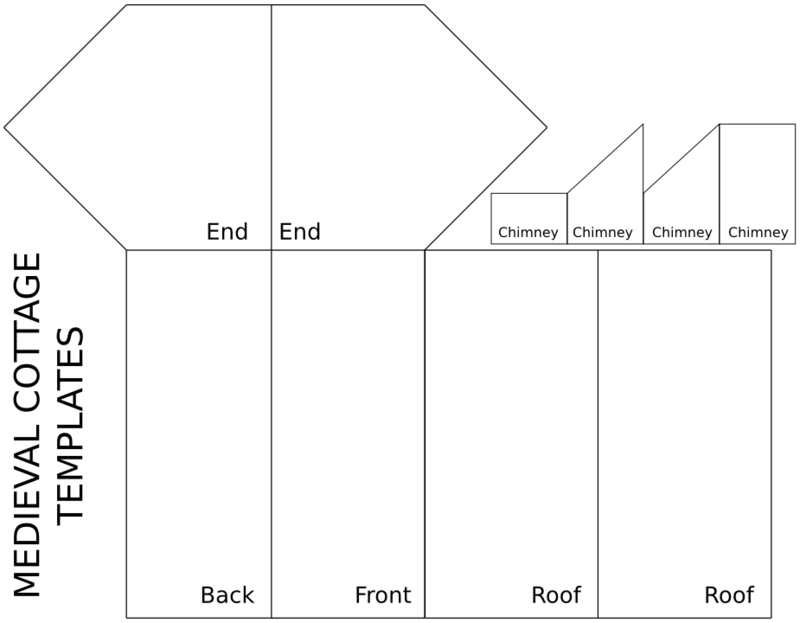 Although I forgot to use the chimney - pity, because I have another new technique I could've demonstrated on that. Oh well. It can wait. 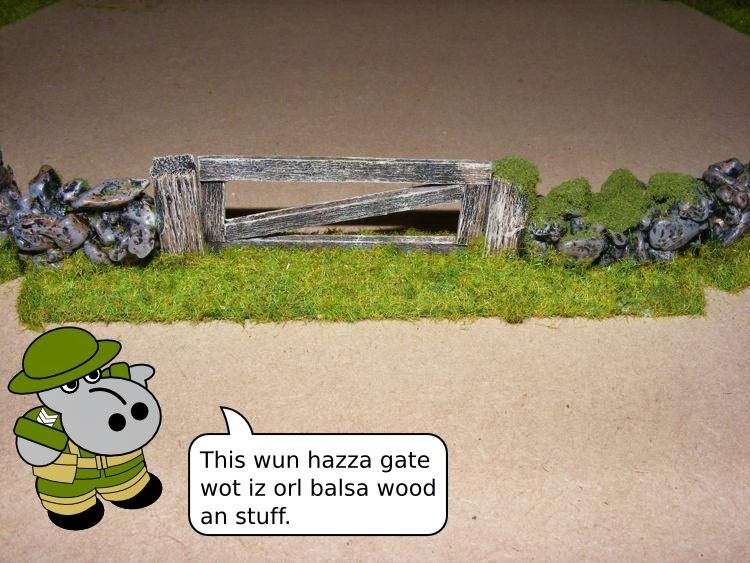 Anyway, enough rambling! 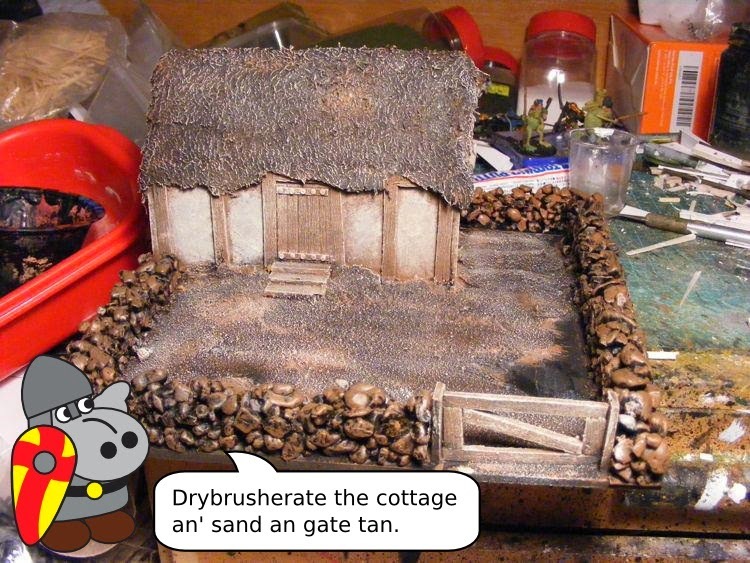 Cue Grot and the Farmyard! And there you have it Hippo Fans! 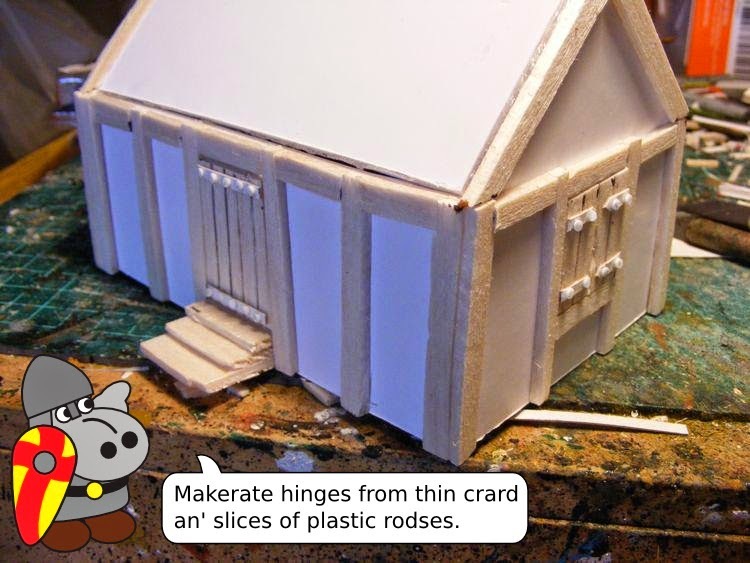 This whole project was completed in a day (well, it's Easter Monday, the last day of the school holidays, and I ran out of other stuff...) This was made possible by the accelerating effects of heat on PVA glue. 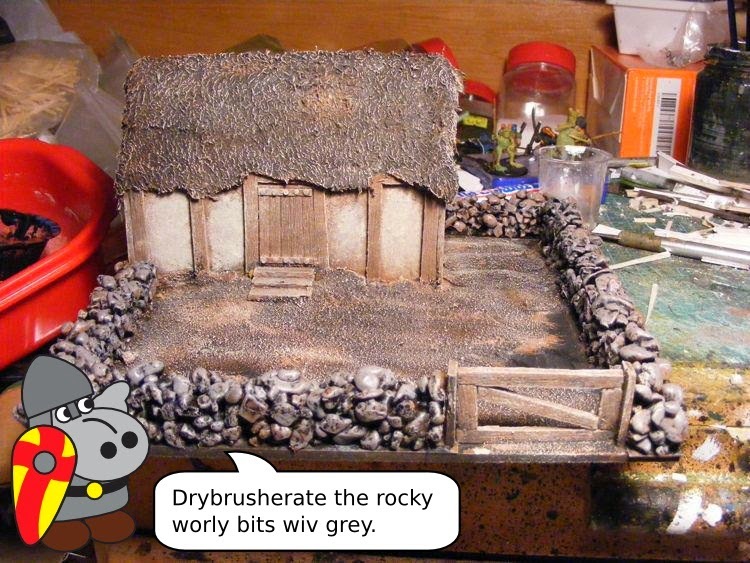 The first time I made stone walls this way, they took days to dry. 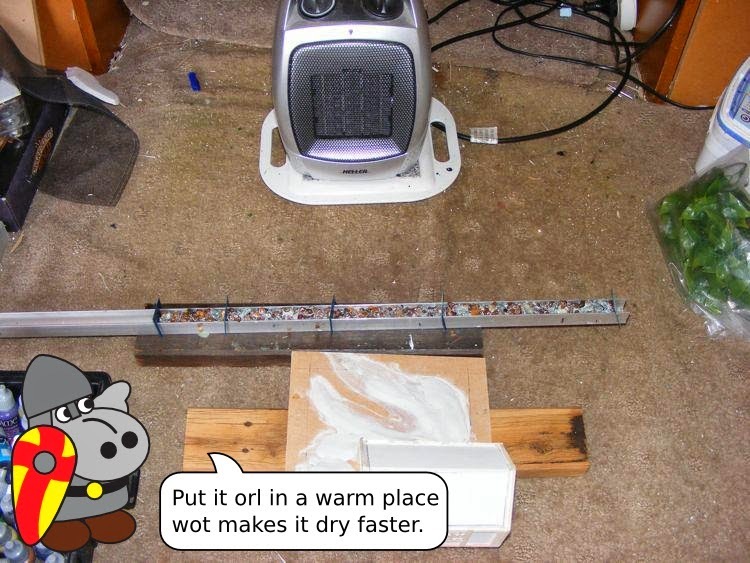 This time, by placing them in front of a small heater, I had them dry in hours. 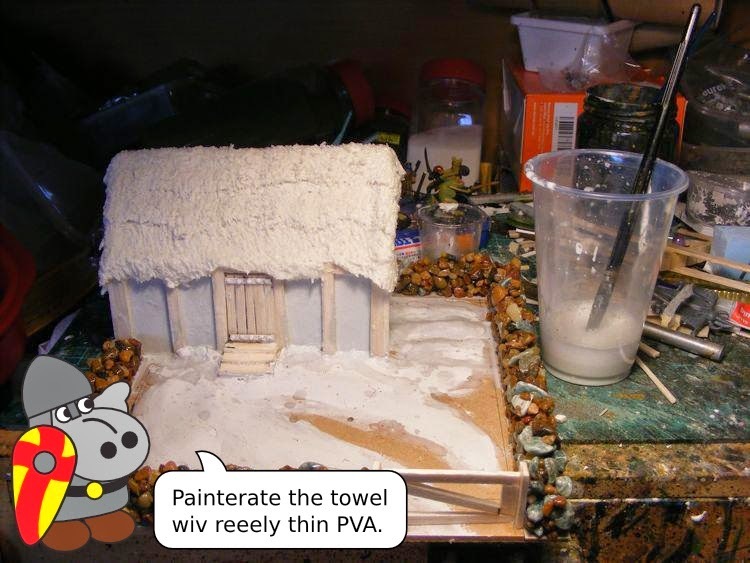 The same goes for the thin PVA on the towel thatch. It can take days to dry on it's own. Or it can take about an hour with a heater. 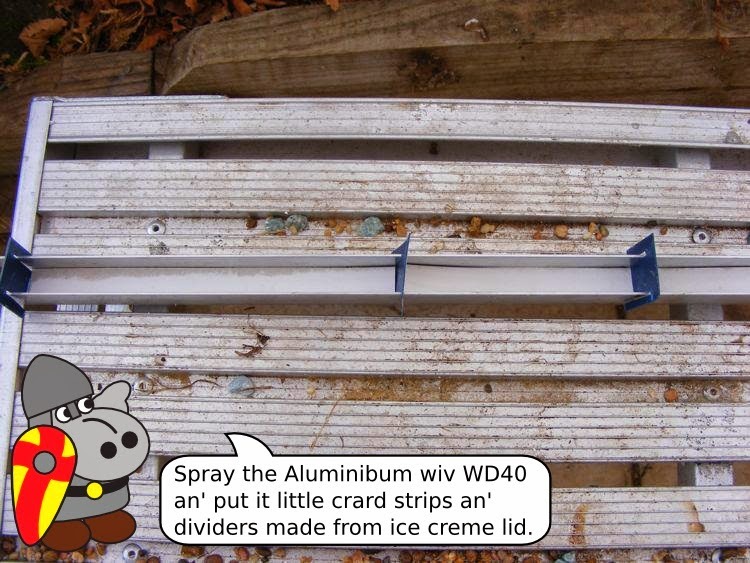 You can get Aluminium channel from Bunnings or any other hardware emporium. Mine is a 1m length of 20mm square channel. It cost about $5. Also, here's the template in question. 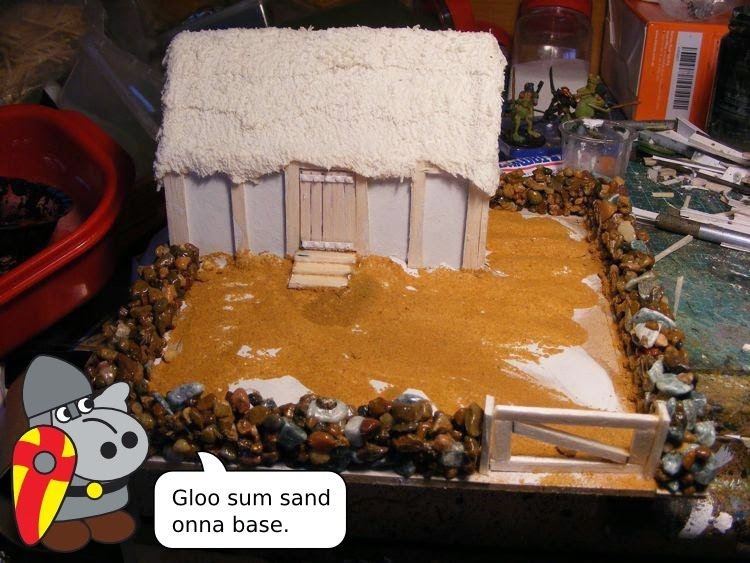 I made this a while back, and I'd glued it to foamcore for a learn to build terrain session at Gippsland Gamers Holiday Program over summer. This is not the best way to use templates - you can't recycle them, and the paper can be annoying if you leave it on the outside. The correct way to use a template (which I found out later!) 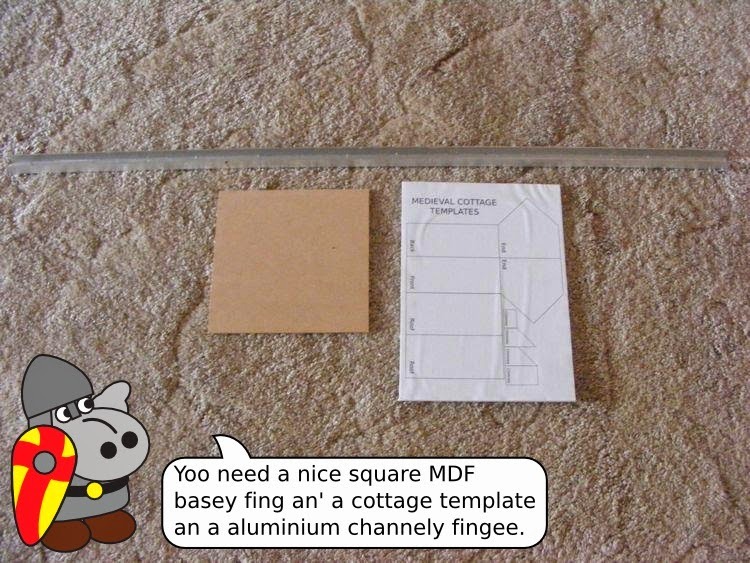 is to put it on your foamcore, and use a pin to punch holes at all the corners where lines meet. Then remove the template, and join the dots with a pen, pencil or marker. 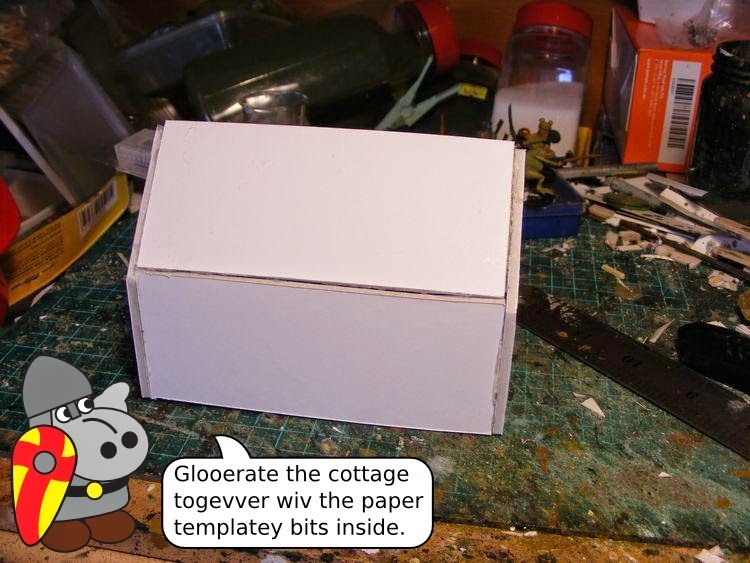 You can keep the template for later projects that way, and don't have to worry about making sure the paper is on the inside. 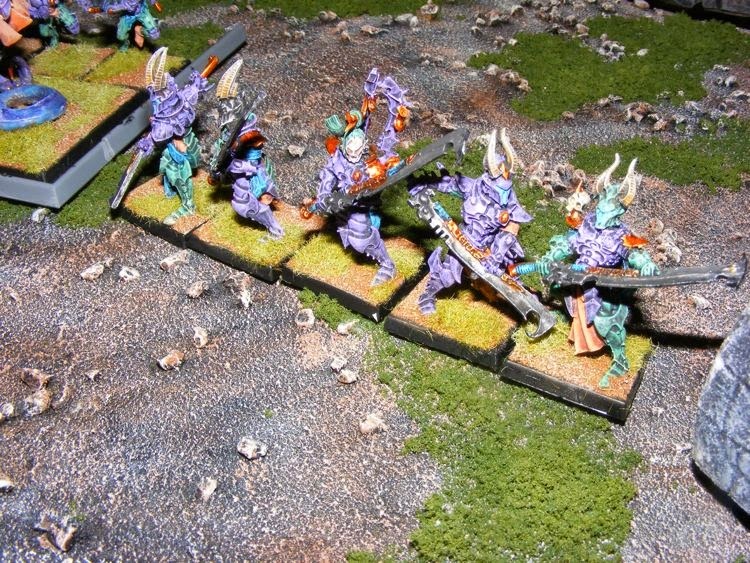 Here we are, the 20th day of the challenge, and I have painted (but not based) by Slaanesh Lord. The original owner had done a fairly terrible job of pinning and assembling the steed, and an even worse one trying to green stuff the gaps. I did my best to salvage the situation, but it's not possible to sink new pins, so I had to work with the existing ones and putty. The glaive blade had been replaced with a flail, and there was no back banner. So I made a new blade from a Dark Eldar Wych Razorflail, and stuck some sort of dark eldar back banner thing on. Also a DE head. With an emo fringe. A Tale of Duelling Gamers: The second rank. 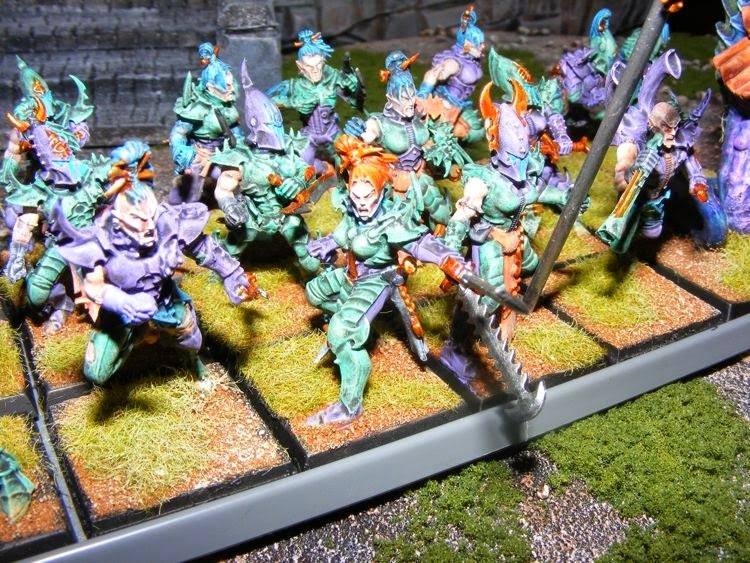 Tremble mortals as you behold the second batch of painted-but-not-based Slaaneshi Chaos Warriors! Quake in fear of their lilac fabulousness! They need their shields, but those have not arrived yet. 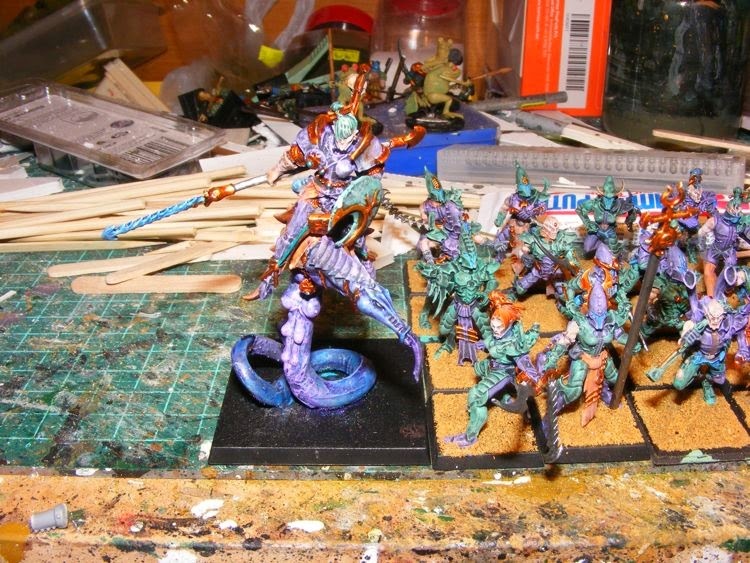 They need four more members, but I await the bases. They also need a banner, but I await inspiration for a design. 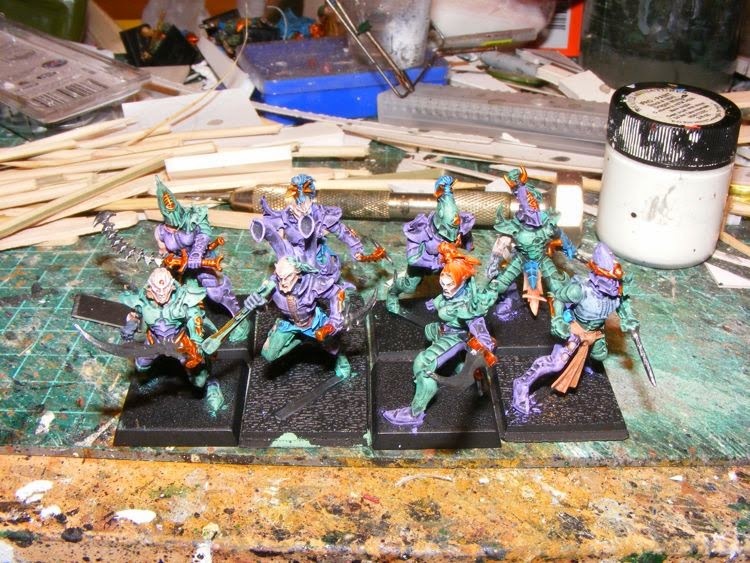 With these chaps and chapesses done for the moment, it's time to rebuild the Chaos Lord on Deamonic Snake figure I got from eBay. 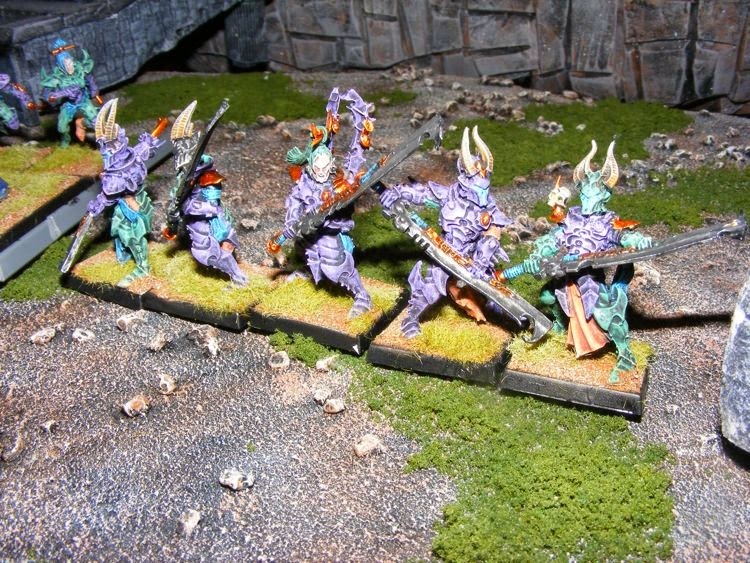 Part of the tail appears to be missing, his head was swapped for a marauder's and his weapon was converted to a flail. So I need to do a bit of work on him. A Tale of Duelling Gamers: First Figures. 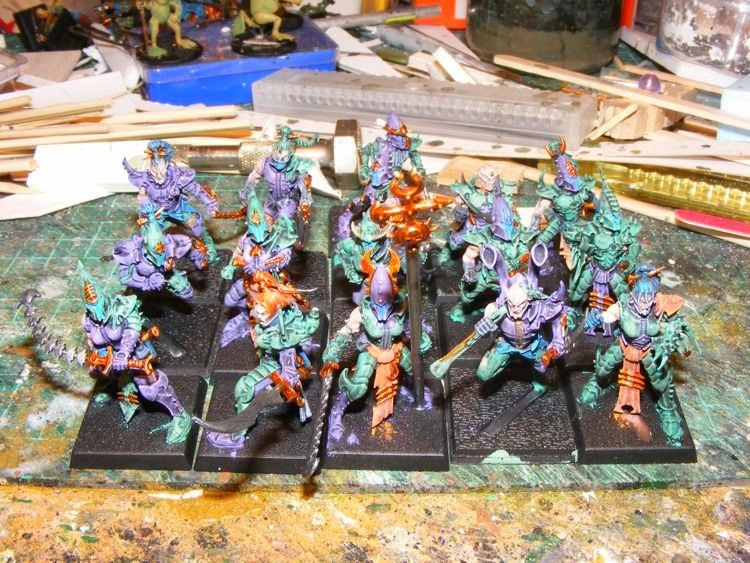 Here we are, half way through the first month, and I have finished painting the first eight figures. They're not based - I always do whole units at a time. As usual, my flash screws the photo a little. The champion's amazingly thin backbanner snapped during painting. NO surprises there really. The shields I have ordered are not here yet, but they WILL have free-handed shields. 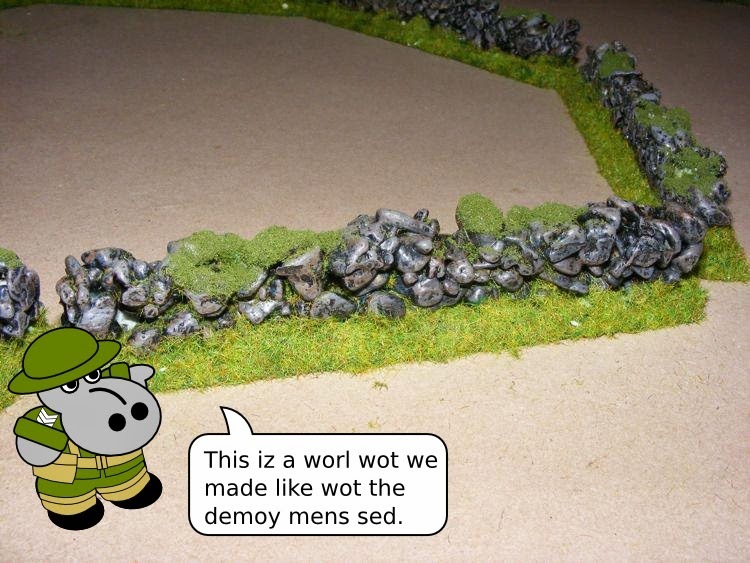 Demo Gamers Style Stone Walls. Recently, I played a demo game of Bolt Action with the Demo Gamers. And by recently, I mean three months ago at Cancon. 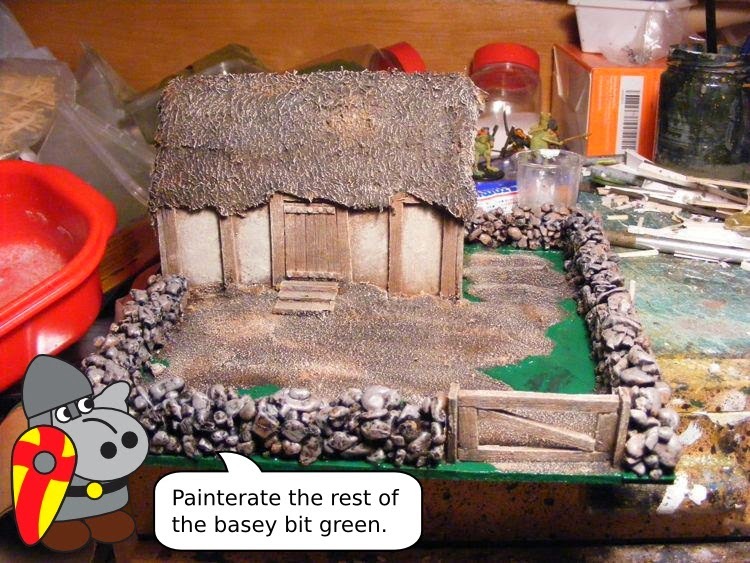 More recently, I found a rather cool idea for making stone walls on their blog. 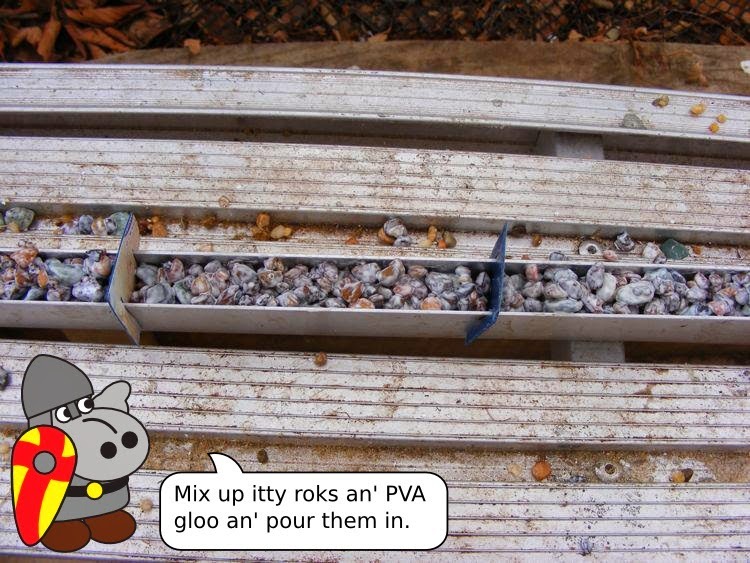 Basically, it involves using an aluminium gutter-y thing as a mold, and pouring in a mix of gravel and PVA. Obviously, I had to give it a shot. 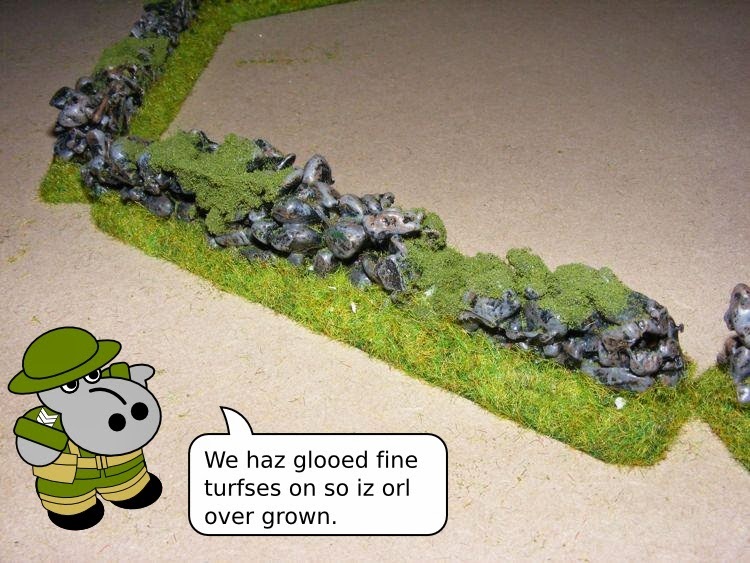 Here's Grot with the results. I had a bit of a problem with these. Because the weather here is fairly cold, they took ages to dry, So I got impatient, and tried to yank them out too soon. They didn't like it. Also, I think I used to little WD40, so they didn't come out easily, and the bottoms fell out. 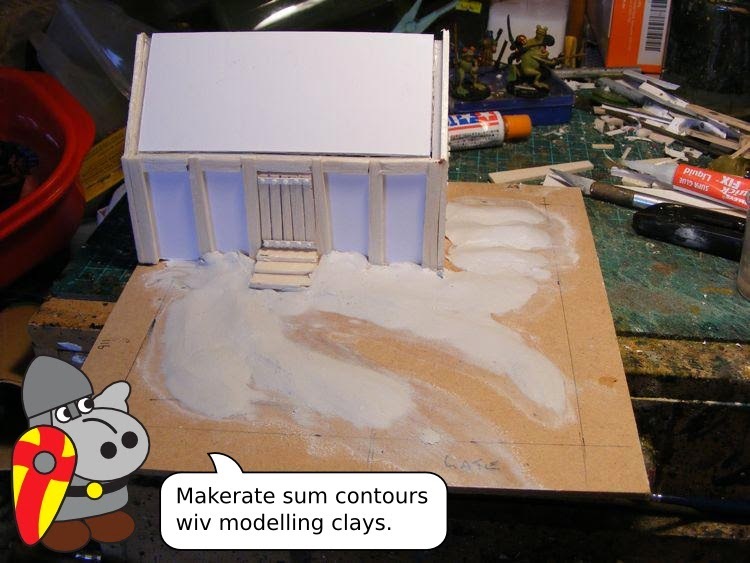 I've come up with a plan to fix this - the batch which I have just poured have all got 2mm cardboard bases built in. 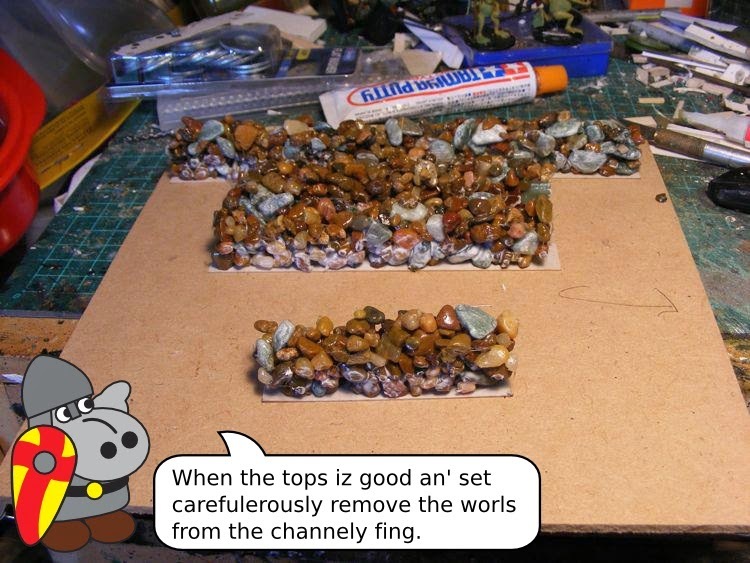 I put the bases into the channel first, then poured on top. We'll see how it goes soon - the weather is sunnier this week so things should dry faster. I hope. A Tale Of Duelling Gamers: The Beginning. And so it begins. The six month oddyssey that is A Tale of Duelling Gamers commenced five days ago, with the traditional mis-information about it all being my idea posted on more than one blog. Let me just clear that up now. Greg challenged me to the original Duelling Paintbrushes. I just wrote the rules and posted them on my blog. Then we collaborated on coming up with the ideas for the next two versions. A Tale of Duelling Gamers was my idea, BUT we collaborated on the rules. I do not seek to take credit away from the Hoodling. 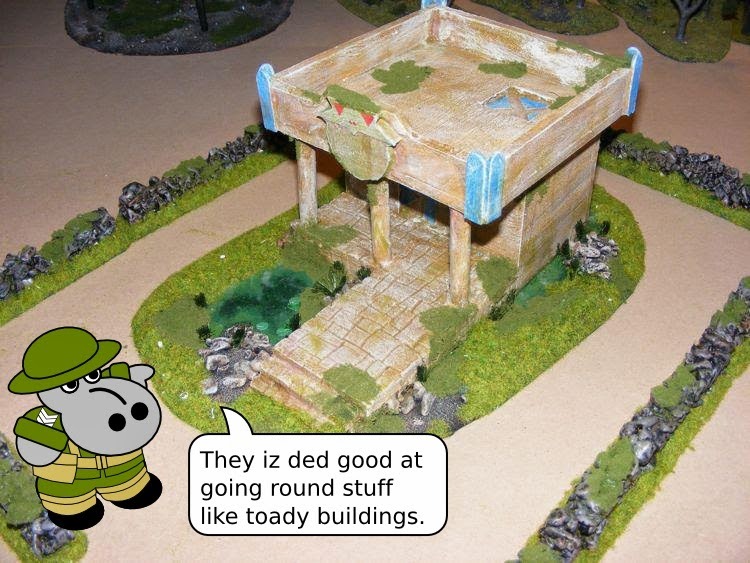 Mostly because he will unleash his mangler squig on me, and that guy is so fearsome he can actually wear a paper hat and make it look bad arse. Now on to the real stuff and the reason you are here. Wait, what? That's not why you are here? Fine. 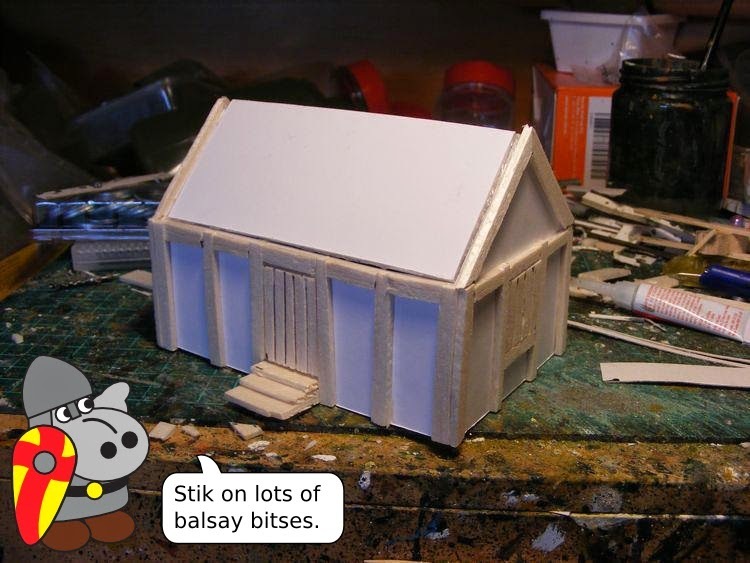 Have some pictures of my meagre progress then. "Hold on one more minute you hippo crazed madman," I hear you cry, "It's the fifth day and you've assembled sixteen guys? WTF?" Well, okay, I didn't start on day one. Day one, day two, and day three were spent doing things which earn money. Ie: building Mount Morin. The magnificent mountain seen above and the result of my first commission from my Bolt Actioneering associates at the LRDG. With that out of the way, and a little more commission stuff from the Muppets almost done, I'm pretty much free to work on ATODG.